38 weeks pregnant with twins. This is it. This is when they’re considered to term, which means that this is the week that you’re statistically most likely to go into labor. That’s something to bear in mind if you’re going for a natural birth. In the mean time, here’s what you might face in what might be your last week pregnant with twinnies! Your twins could come any day now. They’re pretty much as big as they’re going to get, now, and could be anywhere up to 20 inches tall, and weight somewhere between 6 and 7 pounds each. They might also have hair by now. Anywhere up to an inch! Remember that the hair they’re born with isn’t the hair they’ll necessarily have a few months from now, so if you and your partner are both blond, and your baby is born with a healthy crop of dark hair, don’t be alarmed. 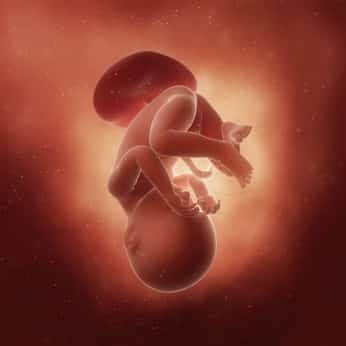 At 38 weeks, your baby should also have very little of the vernix caseosa left on their bodies, but there might still be a little bit of white on them when they first say hi. Braxton Hicks contractions: Like we just said, your body is winding up everything it needs for labor day. That’s why you might be experiencing BH contractions. But like we’ve said all along, don’t get them mixed up with real contractions. Simple differences: They shouldn’t hurt, won’t last long or be regular, and stop if you move about. Sleeping issues: You’re under a lot of pressure right now, body and mind, so sleeping can be difficult. Just get what rest you can, and try to relax. Itching or sensitive stomach: Your belly is stretched to full capacity holding your twins, and so is your skin. Moisturise as much as possible, and drink as much water as you can to hydrate your skin from the inside. Swollen legs and feet: Your body is holding more fluid anyway, and everything else can contribute to a little bit of swelling on the lower half of your body. Just keep your feet up as much as possible when you’re resting, and get as much light exercise as you can. Even a few minutes of walking can make a huge difference. If you’re having scans this week, it’s the same as it has been for the last few weeks. Simple check ups to see your progress and make sure that everything is going fine. You’ll see your OB every week, to check what position your baby is in, (whether they’re head down and ready for delivery or still head up). You might also be having a pelvic exam this week, to see if your cervix is dilated, a sure sign that your body is getting ready to get those babies out! Contractions: Sounds obvious, but when you’ve been having Braxton Hicks contractions for the last few weeks, real contractions might not even register at first. Remember, real contractions come regularly, won’t stop even if you get up and move around, and they hurt. Water breaking: This is a huge sign, and might come as both the Hollywood sudden gushing of water, or a slow, regular trickle. Be on the look out for both, especially if you’ve had some vaginal discharge already. Nausea and sickness: It doesn’t happen for all women, but a large number report feelings of sickness or nausea before they started going into labor. The mucus plug: If you have vaginal discharge that’s particularly thick or bloody, it could be a sure sign that you’ll go into labor soon. Are You 38 Weeks Pregnant with Twins? You’re right on the verge of having two new babies! Go you! Whether you’re trying for a natural birth, or this is your week for a planned C-section, we know you’ve got what it takes to be an awesome mom. Remember to check back in when you’ve had your babies. We’ve got all the info a new mom might need to help you in those first few months. We’ll see you when you’ve got two new additions to the family! How do you feel at 38 weeks pregnant with twins?